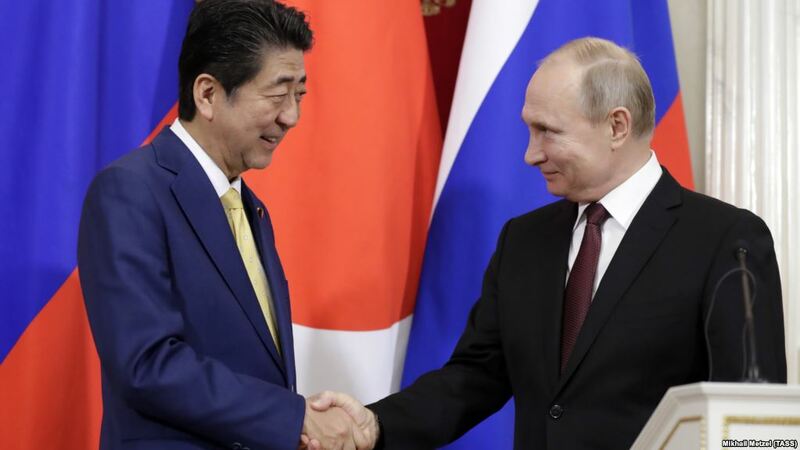 Moscow: Russia has confirmed interest in signing a peace treaty with Japan on the basis of the 1956 Declaration, President Vladimir Putin said after talks with Japanese Prime Minister Shinzo Abe. “At the meeting in Singapore (in November 2018) we agreed to proceed with the negotiating process on the basis of the joint declaration the Soviet Union and Japan signed in 1956, which above all envisages the conclusion of a peace treaty,” Putin recalled. He remarked that at Tuesday’s meeting the two sides “spent a lot of time” on the issue of the peace treaty. The two countries’ foreign ministers were commissioned to coordinate this work. The first round of negotiations, he said, was held in Moscow on January 14. The results of the negotiations in the Kremlin were reported to the Russian and Japanese leaders. For the time being the parties agreed to step up joint economic activity on the South Kuril islands in the five authorized spheres: aquaculture, greenhouse farming, wind energy, tourism and garbage processing. 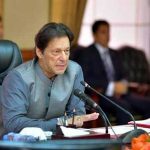 “I believe that this visit will certainly benefit bilateral relations and take us closer to resolving the key issues of our cooperation,” he said. Vladimir Putin said that trade and economic cooperation between Moscow and Tokyo was given high priority during talks with Shinzo Abe. “If we talk in general, the cooperation between Russia and Japan is moving positively on the economic track, and there are obvious achievements. However, in our common opinion with Shinzo Abe, a qualitative shift has not yet occurred, and the potential of cooperation between the two countries is not fully explored. Therefore we have discussed the idea of developing more ambitious plans to expand economic ties in key areas, from trade to investment and technological cooperation,” Putin told reporters after the talks with Japanese Prime Minister Shinzo Abe. According to the Russian Federal Customs Service, in 2017 the trade turnover between Russia and Japan amounted to $18.3 bln (almost 14% growth over 2016). The trade turnover in January-October 2018 increased by another 18.2% year-on-year and amounted to over $17.5 bln. 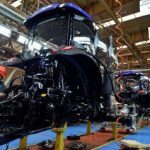 Japan in 2017 ranked 9th among the largest foreign trade partners of Russia. According to the Ministry of Finance of Japan, Russia in the same year occupied the 13th place in export trade in Japan and 20th in import. Speaking of cooperation between Moscow and Tokyo in specific sectors of the economy, Putin noted, in particular, expanding cooperation in the field of transport and infrastructure. 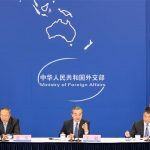 “The development of regular transport links along the Northern Sea Route for LNG exports to Japan and the states of the Asia-Pacific region is seen as promising,” he added. Putin noted close cooperation between Russia and Japan in the humanitarian sphere, in particular, the successful Russian-Japanese Cross Year of Culture, which was launched in May 2018. He recalled that Russia and Japan are co-organizers of the International Theater Olympics, which will be held in the second half of 2019 and will gather creative teams from 30 countries.